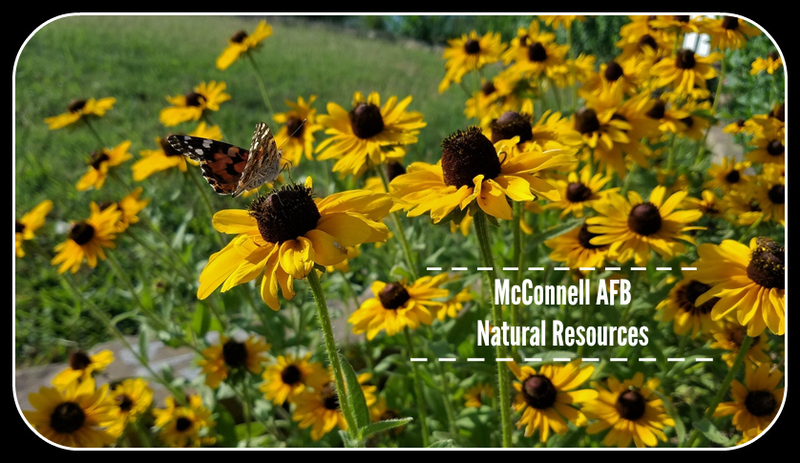 Fishing on McConnell AFB is permitted provided anglers obtain and ca​rry on their person a McConnell AFB fishing permit AND a State of Kansas fishing license. Persons younger than 16 or older than 74 do not need a license. All state regulations apply. State regulations can be found here. 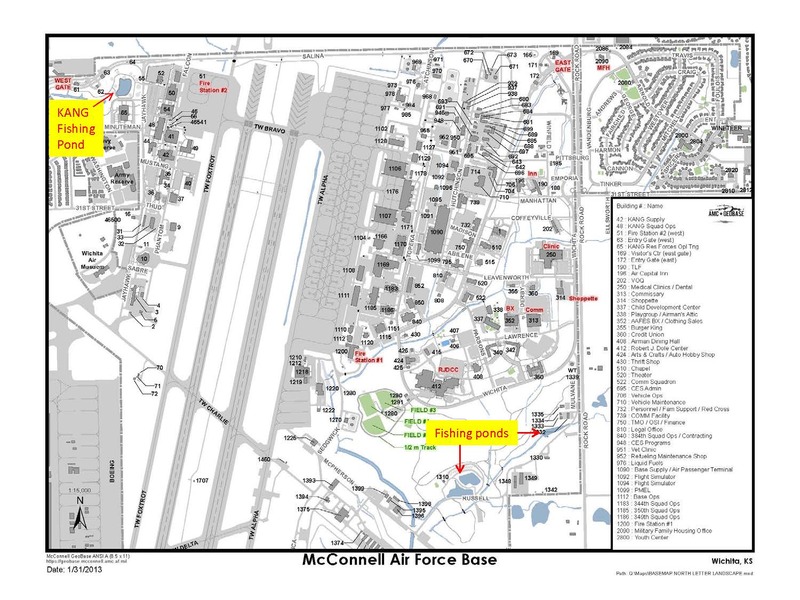 Fishing is allowed at 4 sites -- the KANG pond and the 3 ponds in the Krueger Recreation Area, known as the "Windmill Pond," "Bee Tree Pond," and "Teardrop Pond". All fishing is catch-and-release only. Register for a permit using mcconnell.isportsman.net/home. Payment and printing of the permit are also via the i-Sportsman application. Payments are by credit card. Sorry, there are no refunds. + with the help of an Eagle Scout candidate from a local Boy Scout troop, we initiated a fish health study using pink, nylon tags called Floy Tags. We tagged 25 fish for this long-term study.Tagged fish are found in the bee tree pond. Thanks for being a part of our study!